~ High Quality iOS Apps. Subscribe For Our Latest App Updates & News! 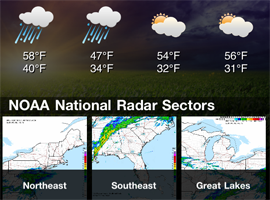 NOAA Weather Radar is a PREMIUM NOAA WEATHER application with 1 tap access to every single NOAA Weather Radar site in the continental US, Alaska, Hawaii, and Puerto Rico! This app is simply gorgeous with awesome vertical & horizontal scrolling allowing you to browse through live thumbnails in real time of any weather system happening at the moment. There is NOTHING like it currently available and nows your chance to get this AMAZING app and show it off to everyone. 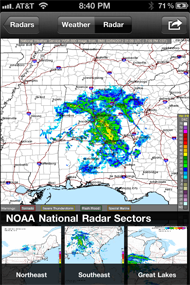 In addition NOAA Weather Radar can ALERT you to potentially life threatening weather via audible push notifications directly to your device 24/7 even if your not currently using the application and your device is asleep and locked. 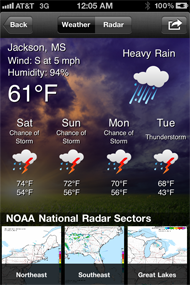 Be in the know and view the included National Weather Service forecasting maps to plan your day or if your a weather professional use it to keep informed in the field. 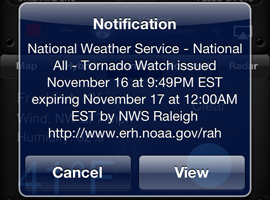 Never be left knowing whats going on in your county when you armed with a well formatted list of weather alerts for any county within the USA. 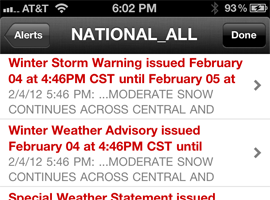 You can always know what weather my affect you day or weekend. 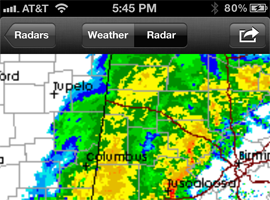 With high quality radar imagery from the National Weather Service you can track storm systems like a pro! 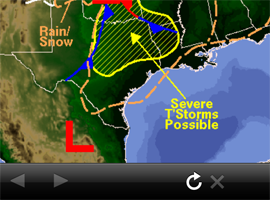 In addition warning polygons are displayed to show severe thunderstorms, tornados and flood warnings. Be safe and secure with our exclusive life saving weather push notifications sent directly to your device wether your using the app or not. Alerts are sent with a distinctive sound to wake you in the middle of the night or get your attention during the day. This feature alone can make the difference! 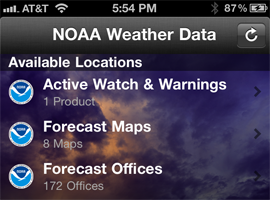 We've included a awesome array of useful NOAA weather data to include 1 touch access to all 172 forecast offices. 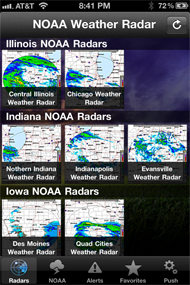 Check out forecast maps, sector radars, marine forecasts, active watches & warnings and so much more! "I just updated this app, and WOW I love the new features!! You addressed the most obvious concerns, specifically Alert access, and now it's perfect. Thanks!" "What an update! This app just skyrocketed to my top 3 favorites. 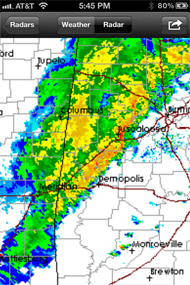 I, however, did also like the old radar, but this one does have good zooming and is the National Weather Service Radar. It would be awesome to have the option of both radars, but I know that is probably asking to much." "Had questions before purchase, all questions were answered within three hours. You cant beat support before purchase! Love the App and support team. Woke this morning with alert of being fogged in this AM. GREAT APP!!!" 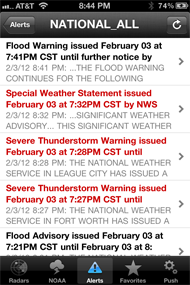 "I was looking for an app that would alert me real-time to sever weather in my county and this is perfect. It has an extensive coverage area, push alerts that work even if the app is not open, and extremely fast and responsive customer service. This is a superb app, and highly recommend it!" Website Design by Christopher Coudriet.